On 14 March, some 800 people marched in Acapulco in solidarity with CECOP, which had organized a mobilization to demand the release of Suástegui Muñoz, who has been imprisoned since 17 June 2014 in the federal prison in Tepic, Nayarit, and of María de la Cruz Dorantes, who has been imprisoned in Acapulco since 6 October 2014. Leaders of Cecop denounced that Rogelio Ortega Martínez, the interim governor, has not observed his commitment to intervening to facilitate the release of Suástegui Muñoz, something which he promised to do on 3 March upon signing a pact of reconciliation in Salsipuedes with leaders of CECOP and relatives of the communard in question. 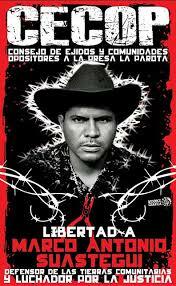 CECOP warned that, as long as Suástegui Muñoz is not released, political candidates and State functionaries will not be allowed entry to Cacahuatepec. 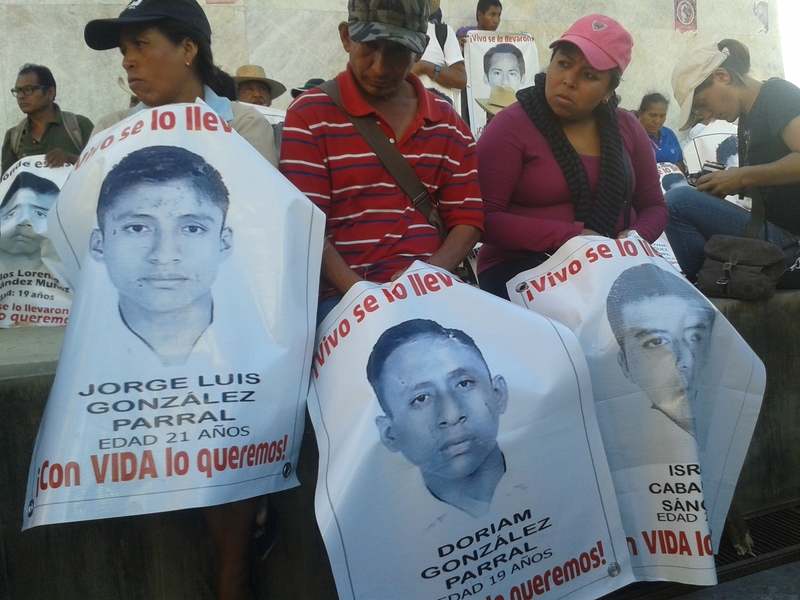 The parents of the 43 students forcibly disappeared in Iguala confirmed their trust in the team from the Inter-American Commission on Human Rights (IACHR), which at the beginning of this month started to review the evidence on the happenings of 26 September 2014. Felipe de la Cruz, spokesperson for the parents of the disappeared, said that the arrival of the independent specialists represents an advance, given that it provides hope that truthful results will result from the investigations that they plan to undertake, “rather than a theater put on by the Federal Attorney General’s Office [PGR].” He added that it is hoped that the PGR will come to an agreement regarding the inspection of military barracks on the part of the parents, as they have been told that the conditions are not appropriate at this time. The parents want to know that they are not just going in circles. Vidulfo Rosales Sierra, their lawyer, has specified that the IACHR specialists are not those in charge of carrying out the investigation, but rather that they will review what has occurred so far within the ongoing investigation so as to make recommendations when irregularities are found. 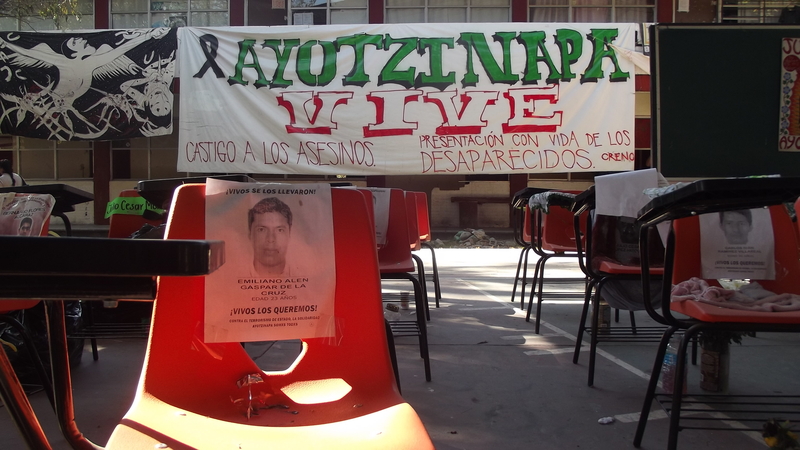 On 13 February, the UN Committee against Forced Disappearance (CED) declared that “generalized disappearances” are practiced “throughout” Mexico, and that the Ayotzinapa case “illustrates the serious challenges that the State confronts in terms of the prevention, investigation, and sanctioning of forcible disappearances and the search for the disappeared.” It reminded the State of its obligation to “effectively investigate all State agents or organs that could have been involved, as well as to exhaust all lines of investigation” in response to forcible disappearances, with this being a recommendation that could clearly be applied to the Ayotzinapa case. In a communique released on 9 February, the Tlachinollan Mountain Center for Human Rights, explained in detail about the failed investigation into the Ayotzinapa case. It concludes by saying that “[Now the parents] await the international support of the UN and the Inter-American Commission, as well as the prestigious work being carried out by the Argentine team. They request that the PGR listen to their demands and observe the rights of the victims by carrying out an investigation that takes into account all possible lines and is based in scientific evidence.” On 12 February, representatives of the families of the 43 disappeared students expressed their welcome to the newly arrived Interdisciplinary Group of Independent Groups (GIEI) to Mexico, who will begin the work of verifying the investigation of the forcible disappearance of the youth on 1 March.